AKARYN Hotel Group, Thailand’s home-grown luxury boutique resort specialist, has unveiled plans for the significant expansion of akyra, its hip and sustainable lifestyle brand – including its first ever international hotels. 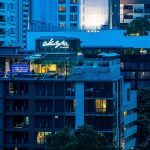 The most recent addition to the collection, akyra TAS Sukhumvit Bangkok, opened in May 2018, providing 50 sleek and spacious rooms with floor-to-ceiling windows, a RISE rooftop bar and Siam Soul Café overlooking the bustling streets of Bangkok’s downtown business and entertainment district. Now, AKARYN Hotel Group has revealed an ambitious strategy to triple the number of akyra hotels and resorts from four to twelve by 2022. Agreements for new akyra properties are currently at different stages of readiness in the Malaysian Highlands, Hoi An in Vietnam and Bangkok’s Rattanakosin Island, while other projects are being considered in markets including Bali, Ho Chi Minh City and Phnom Penh, as the Thai boutique brand spreads its wings across Southeast Asia. All new akyra hotels and resorts will retain the brand’s core philosophies, including sustainability, community interaction and environmental awareness. As an example of this, akyra TAS Sukhumvit Bangkok became the first new hotel in Asia to launch without any single-use plastic in its rooms or F&B outlets. The entire AKARYN Hotel Group has pledged to eliminate single-use plastics by Q2 2019. Both akyraTAS Sukhumvit Bangkok and akyra Manor Chiang Mai are already single-use plastic free. See #akyrareduce and #aleentareduce. The company is also a long-term partner of the Pure Blue Foundation, which supports marine projects including coral reef restoration and turtle conservation. “akyra is a hotel concept that thrives on new opportunities and innovations, so it is highly appropriate that this outward-looking brand is now planning to broaden its horizons and venture into exciting new destinations,” said Anchalika Kijkanakorn, Managing Director and Founder of AKARYN Hotel Group. “Our passionate belief in social and environmental responsibility is now shared by many modern travellers. All across Southeast Asia, young and young-at-heart guests are seeking smart, stylish and sustainable places to stay. Every new akyra hotel or resort will allow guests to make meaningful connections with their destination, whilst leaving the smallest possible footprint on the planet,” Ms Anchalika added. akyra is more than just a hotel brand; it is a lifestyle choice. The concept is defined by smart technology and dynamic design, and hotels are located in areas where millennial travellers and local communities intersect. Many of the new akyra properties will feature a new rooftop bar concept called “Rise”, which will be officially launched in Bangkok on 13 September 2018, and which was pioneered in the brand’s Chiang Mai location. Specialising in cool craft beers, creative cocktails and locally-inspired snacks, these elevated spaces will allow hotel guests and local visitors to unwind and interact, high above the crowds.